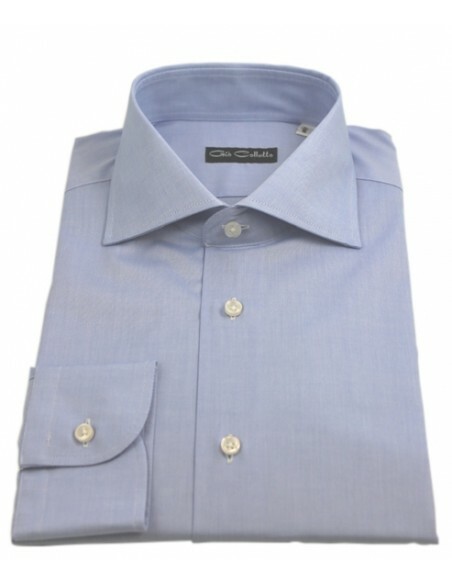 The shirt is in open French collar model and in classic fit, made of pure Pin Point cotton, blue. 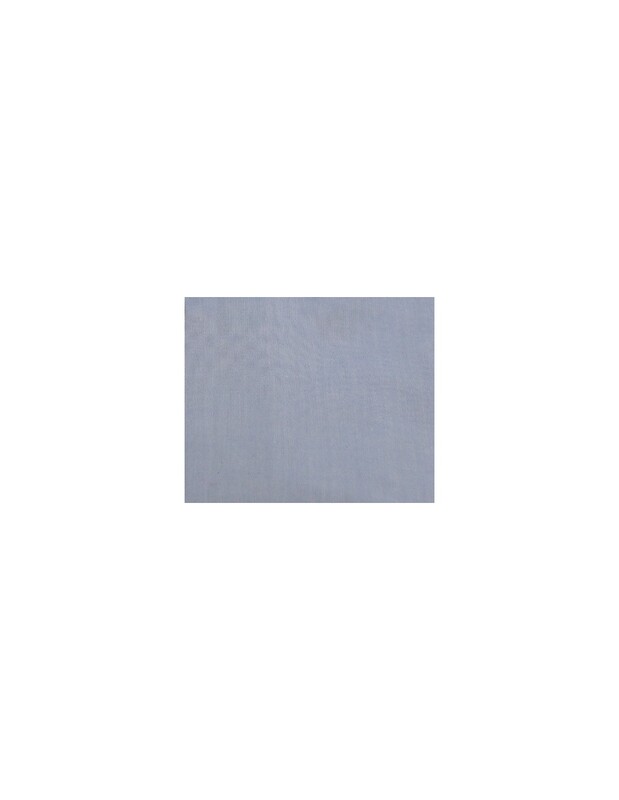 For casual or more formal looks, this shirt made of pure Pin Point cotton, a fabric that is literally defined as "pin point" and which derives from the Oxford one, presents a texture that seems to be formed by many pins. 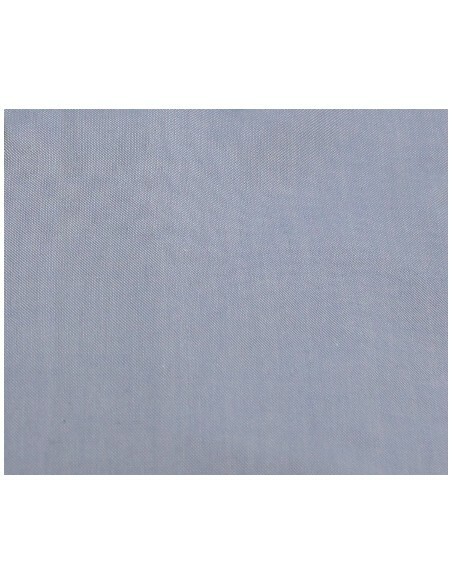 The fabric is appreciated by a large number of men and has a very recognizable weave with a "dotted" effect. 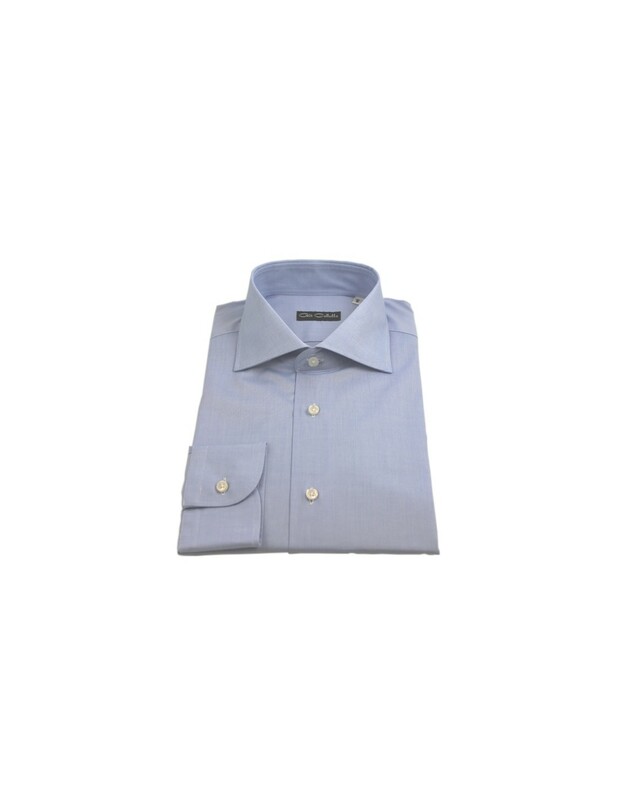 The shirt is in open French collar model and in classic fit and it looks simple thanks to the fact that the back is smooth and the front has no seams, the cuffs are rounded with a button.